Anoka County Proclaims October 2018 as Domestic Violence Awareness Month in Anoka County! PICTURED: Commissioner Rhonda Sivarajah, Commissioner Jim Kordiak, Commissioner Matt Look, The Dwelling Place Executive Director Linda Wiza, Commissioner Robin West, Commissioner Julie Braastad, Commissioner Scott Schulte. Not pictured is Commissioner Mike Gamache. A RESOLUTION PROCLAIMING OCTOBER 2018 AS DOMESTIC VIOLENCE AWARENESS MONTH! 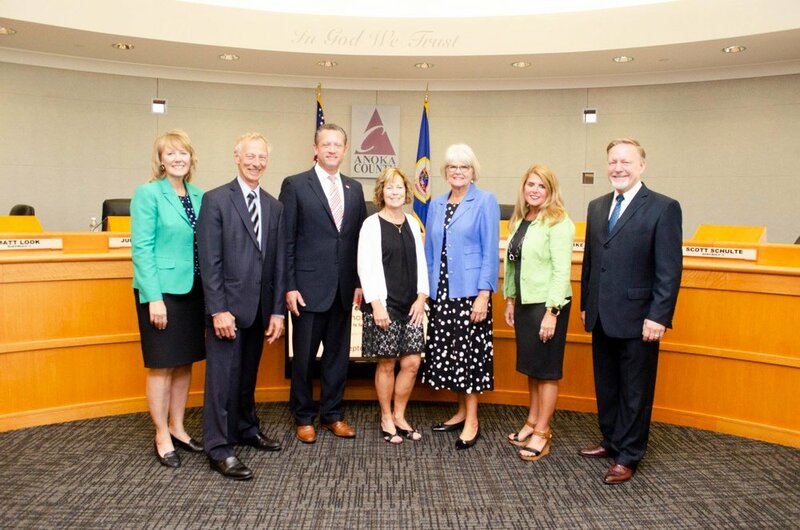 NOW, THEREFORE, BE IT RESOLVED that the Anoka County Board of Commissioners proclaims October 2018 to be Domestic Violence Awareness Month in Anoka County!